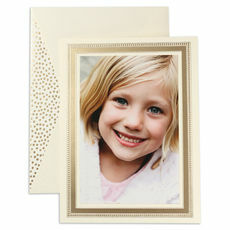 These ecru flat correspondence cards feature an embossed interwoven frame. Your imprint is printed in raised ink color of your choice. Size 6.375" x 4.5". 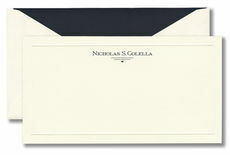 Matching blank ecru envelopes.. 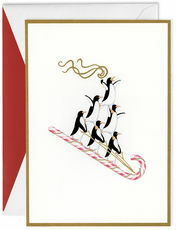 This distinctive note card will make your communication to family, friend or business associate truly stand out. Size 6.375" x 4.5". 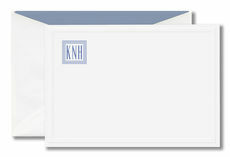 White blank envelopes included. 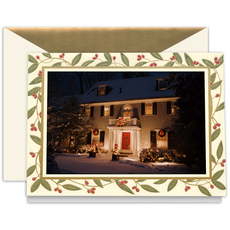 Engraved return address and.. The crisp, blue border framing the front of these white notes perfectly showcases your single initial. 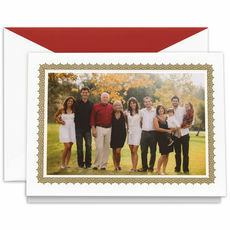 Printed with raised ink color of your choice. Size 5.125" x 3.75". Matching blank.. 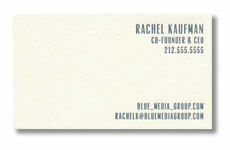 These letterpress printed ecru business cards are perfect for networking with clients and business associates. Sure to make a positive, lasting impression. Size 3.5" x 2". Your choice of ink color. 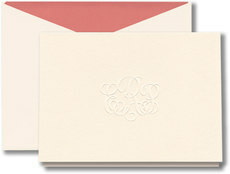 ..
A double dose of modern femininity makes this blush folded note a delightful way to send well wishes. Size 5.125" x 3.75". 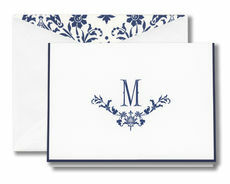 Matching blank blush envelopes included. 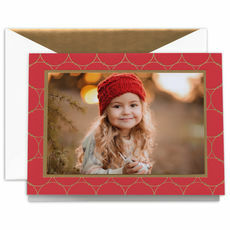 Envelope lining and return..
Personalize the holidays with this custom photo greeting card with a modern geometric border of red and gold. Pre-taped to accommodate a horizontal 4 x 6 photo. 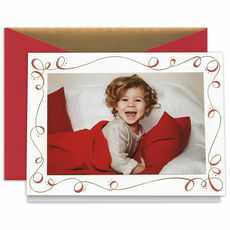 These cards are supplied with..
Share your favorite photo this holiday with this custom photo greeting card with a gold lace design. Pre-taped to accommodate a horizontal 4 x 6 photo. 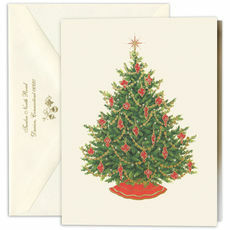 These cards are supplied with repositionable.. Unique stationery that you will be inspired to write on or give as a very thoughtful gift. 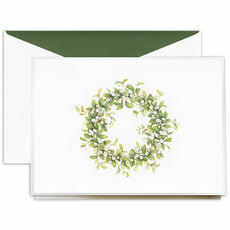 Your name is beautifully letterpressed in ink color and typestyle as shown on these ecru correspondence cards..
A painted snowberry wreath framed within a pearl foil stamped border is a tasteful way to send your warmest holiday wishes. Size 6.812" x 5.125". Your choice of inside greeting to be printed in raised.. 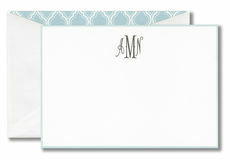 Your monogram is featured on this large ecru embossed frame note card set. 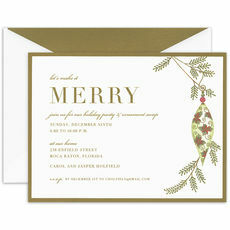 Printed with raised ink color of your choice. Size 6.375" x 4.5". 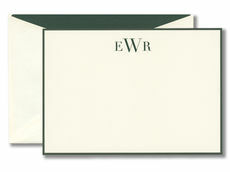 Matching blank ecru envelopes included. Envelope.. 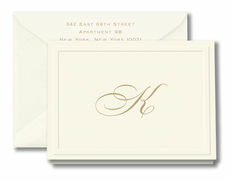 These white flat correspondence cards feature a subtle embossed frame to create a classic look with a modern sophisticated font to showcase your initials. Your imprint is printed in raised ink color.. 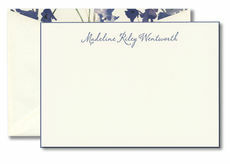 Perfect for your personal or business stationery needs. 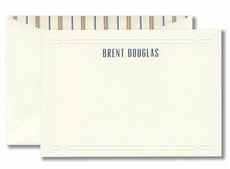 These ecru flat correspondence cards feature a subtle embossed frame for your personalization. Your choice of engraved ink color. Size 6.375" x.. 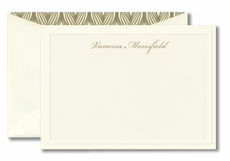 Perfect for your personal or business stationery needs. 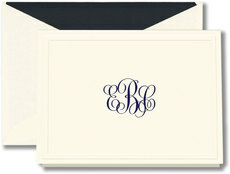 These ecru flat correspondence cards feature a subtle embossed frame for your monogram. Your choice of raised ink color. 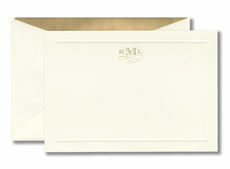 Size 6.375" x..
We are thrilled to showcase premier stationer William Arthur, founded in 1949. 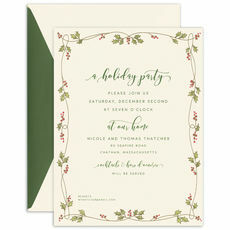 William Arthur is a high-quality producer of elegant stationery, thank you notes and invitations, and are renowned for quality and innovative products and outstanding designs. 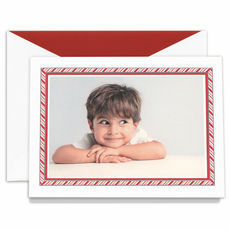 Dedicated to the art of classic correspondence, our William Arthur line will include premier personal stationery, thank you notes, correspondence cards, and letter sheets. From engraving to letterpress to thermography, the sophisticated designs are produced to create elegant products perfect for personal or professional use. Behind the name, William Arthur is a dedicated team of highly skilled artists, craftspeople and designers who treat each and every order with special care.